With its construction of ultra high performance and tough Stainless Steel, the SilencerCo (previously SWR) Spectre II allows weapon fire to go virtually unnoticed. 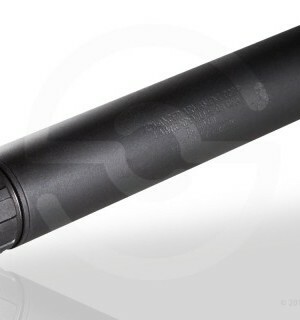 It is not only super tough, but also one of the quietest 22 suppressor known to man. With the Spectre II, users will also enjoy its multi-caliber versatility. The Spectre II has a unique CTA baffle design for easy disassembly and is user serviceable, which is very important for any .22 lr silencer. Because the .22 lr round is not copper jacketed, molten lead and carbon debris will explode into the silencer when the projectile exits the muzzle. 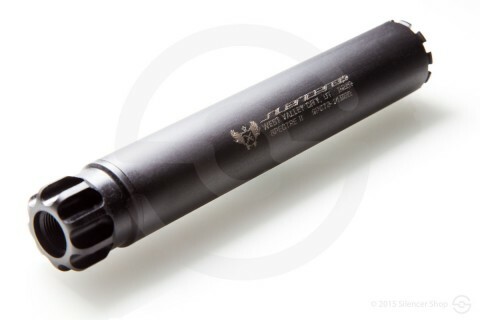 After some time it is possible for a .22 suppressor to fill completely with lead and become heavy and ineffective. To avoid this issue .22 silencers must be able to be disassembled for cleaning and regularly maintained. Most .22 silencers on the market can be disassembled for cleaning, however they require cleaning every 50 to 200 rounds or often times they will fuse together and they are unable to come apart. 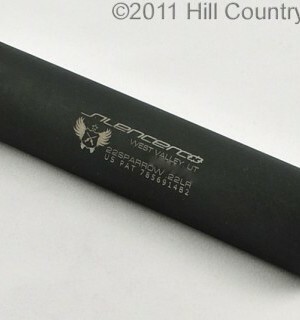 When the lead and carbon debris adhere to the inner wall of the silencer tube and fill the spaces between the baffles and the tube, there is simply too much build up of fouling and lead to remove the tube from most .22 lr silencers on the market. 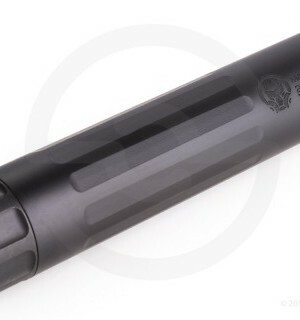 The Spectre II has the unique CTA baffle design that keeps the carbon and lead debris from reaching the silencer tube allowing it to be disassembled easily.